Medicaid is a government insurance program for low income individuals including children, families, pregnant women, the elderly, and the disabled. Medicaid is funded by state and federal governments, but the program is administered by individual states. States must follow federal requirements for the program, but they are allowed some flexibility and decision-making capabilities in administering the program. As of January 2018, 68 million Americans were enrolled in Medicaid. Women are more commonly enrolled in Medicaid than men. Current statistics say that 68% of Medicaid enrollees are women and 32% are men. 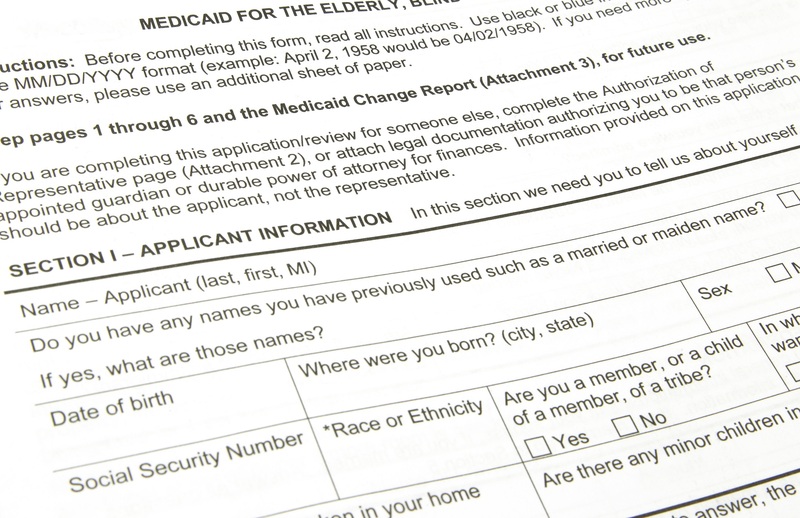 Eligibility for Medicaid enrollment is based on financial criteria including income level AND non-financial criteria such as age, pregnancy, or whether or not enrollees have children. Eligibility requirements will vary by state. The Medicaid website provides instructions on how to check your eligibility and/or enroll in Medicaid. Family planning services and supplies are provided to eligible and interested “individuals of childbearing age (including minors who are sexually active).” Family planning is considered a mandatory benefit for every state that administers Medicaid, but states are allowed flexibility in determining what services and supplies are included as part of the family planning benefit. Mandatory benefits provided under Medicaid include inpatient/outpatient hospital, home health, nursing facility, laboratory and X-ray, transport to medical appointments, pediatric, tobacco cessation, birthing center, and family planning. Optional benefits that states can choose to include or not include in Medicaid coverage include prescription medications, physical therapy, speech/hearing, dental, respiratory, optometry, prosthetics, chiropractic, hospice, and psychiatric services in young or elderly patients. Potential services provided as part of family planning under Medicaid include contraception (including birth control pills), health education, testing and treatment for sexually transmitted diseases, sterilization, and fertility services. Most states provide contraception services and cover most forms of prescription contraceptives; however, other services may vary between states. The Office of Population Affairs and the Centers for Disease Control and Prevention provide recommendations for services and supplies that should be part of “high quality family planning care”- contraception, pregnancy testing/counseling, infertility, sexually transmitted disease, and preconception care. States are not currently required to provide all of these services and supplies as part of Medicaid family planning. Many states have chosen to administer Medicaid using “managed care delivery systems.” In an effort to control costs and access to care, Medicaid enrollees whose care is provided using managed care delivery systems will have a specific network of clinics and providers that can provide care. Medicaid enrollees are still allowed to choose their preferred provider for the family planning services benefit, regardless of whether or not the provider is part of their managed care network. However, the provider an enrollee chooses must participate in their state Medicaid program. This is part of a special provision under Medicaid known as “freedom of choice.” Payment and reimbursement of providers for family planning services under Medicaid can be complicated and present challenges. The Affordable Care Act (ACA), also known as the healthcare reform law, was passed in 2010 and expanded Medicaid eligibility criteria. Medicaid waiver programs have allowed states to strengthen and grow their Medicaid service programs. Family planning waiver programs offer states the ability to expand Medicaid coverage to male and female enrollees who have been traditionally considered ineligible or who would otherwise not be allowed to receive Medicaid services. Waiver programs, which require federal renewal, have developed into State Plan Amendments, allowing states to permanently expand access to family planning services without requiring federal renewal. Despite expanding eligibility, Medicaid enrollment remains challenging for enrollees due to the variety of Medicaid programs or “eligibility pathways” that exist including pre-ACA Medicaid programs, post-ACA Medicaid programs, and family planning expansion programs (ex. family planning waiver, state plan amendment). For more information on eligibility and enrollment, visit https://www.healthcare.gov/medicaid-chip/ or speak with your state’s Medicaid agency. Dr. Lauren McMahan has a Doctor of Pharmacy from Lipscomb University College of Pharmacy in Nashville, TN. She currently works for a large national healthcare company, where she provides her research and writing expertise to support evidence-based initiatives to improve patient care. She enjoys exercising, reading, and thrifting in her spare time. Maternity Leave in America: What’s Wrong With This Picture?